SALT LAKE CITY, Utah – HARMAN DigiTech continues to expand its pedal selection for the iStomp downloadable stompbox with the addition of the Half-Pipe Overdrive, a downloadable e-pedal that pays homage to the skate-punk bands of the ‘80s and ‘90s with its in-your-face sonic attitude. The Half-Pipe has enough juice to be used as a full-bore distortion, but also excels at pushing overdriven amps to the brink. The Half-Pipe Overdrive provides tons of sonic flexibility from restrained to rude. Its Grind, Fat, Vert and Jam controls let users dial in the exact amount of overdrive gain, low frequency, high frequency and output level. Even its pedal look reflects its skate-punk roots with a rounded wood front and back, rough-grip surface and even miniature “wheels” for the control knobs. 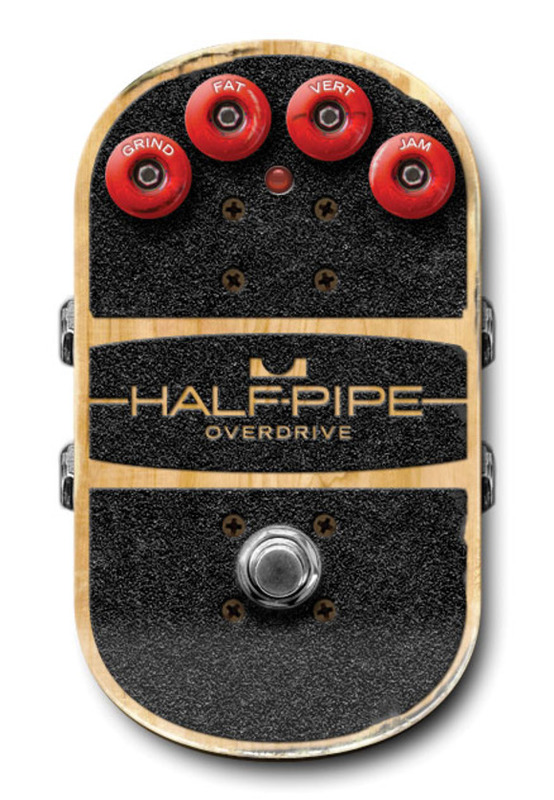 The DigiTech Half-Pipe Overdrive e-pedal will be available immediately at an introductory price of $0.99. This introductory price will run through July 31, 2012. After the introductory period the price will change to $7.99. The DigiTech iStomp is currently available at $179.95 suggested retail and $149.95 MAP. The iStomp already comes pre-loaded with two versatile effects, the Redline™ overdrive and Total Recall™ digital delay.